One of my most favourite commissions of 2016! 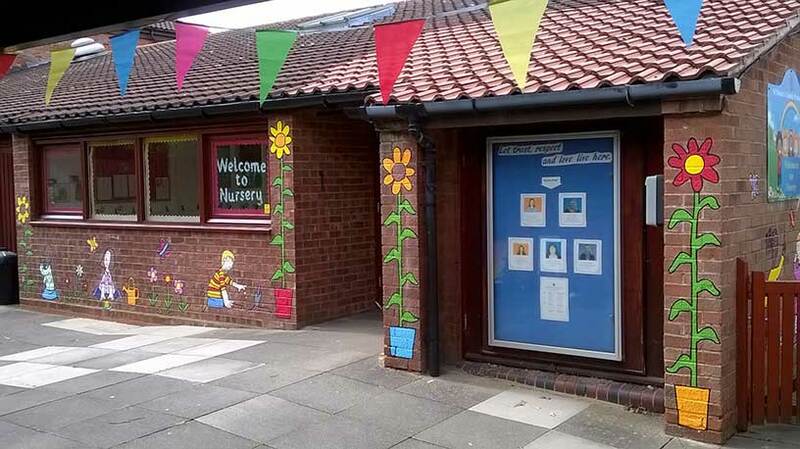 This entirely interactive external nursery mural for a School in Milton Keynes, took 9 days to complete – and the painting was only stopped for an hour due to rain! More of my mural work can be seen on my mural page.